Welcome to Crelate! To help make your transition to Crelate as smooth as possible, we have created a checklist regarding several topics for you to cover. To help organize your learning process, we recommend that you print this checklist and mark off each step as your complete. Our Onboarding Team is able to help you and train you on the topics below, but this checklist is meant to highlight important items to set up when starting with Crelate. Adding Users: If you have additional recruiters, you’ll want to add them to your Crelate. Here’s how.. Setting up Email: There are two primary ways of using email in Crelate, sending direct email, and bulk email. Your Job Portal: When Publishing a job from Crelate, we host a dedicated portal for your candidates to apply. 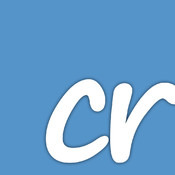 Accessing Crelate On-the-Go: Crelate is offered on both Android and iPhone, as well as the iPad. Sourcing: It’s time to get some candidates entered into the system! Customizing your Crelate: Crelate is configurable to work the way that your company works. Importing and Exporting Data: If you have an Excel spreadsheet of Contacts, Companies and or Jobs, you can easily add them to your database. You can also export your data from Crelate to Excel. Video Overview: If you haven’t trained live with our team, or just need a refresher, these quick start videos are also a great resource.